Untitled (shaving performance) is a document of a privately held performance, in which Hubbard used a straight razor to remove the hair from the lower half of my body. The work looks at how desire, intimacy and fetish operate for queer woman through a re-staging of images found at the GLBT Historical Society in San Francisco of a gay men’s fetish dungeon in the 1970’s. 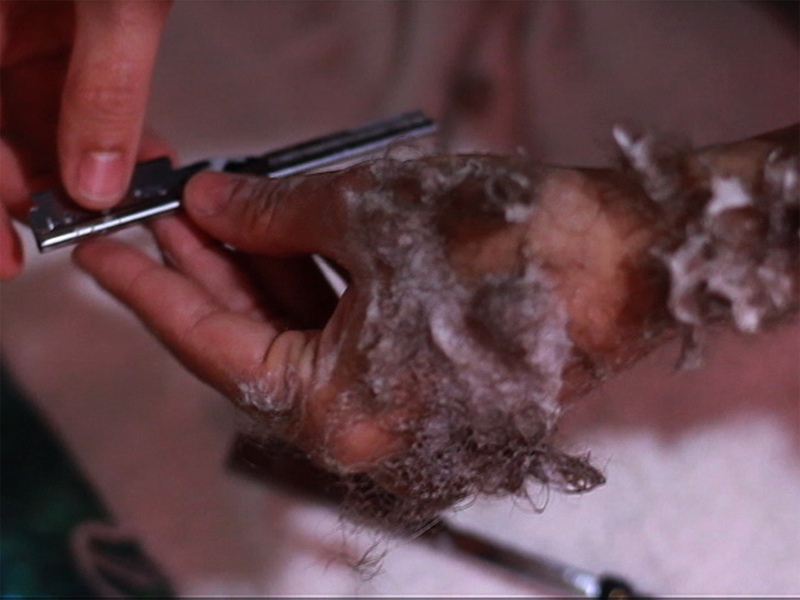 untitled (shaving performance 2010), 2014 / A.K. Burns & Katherine Hubbard from A.K. Burns on Vimeo.